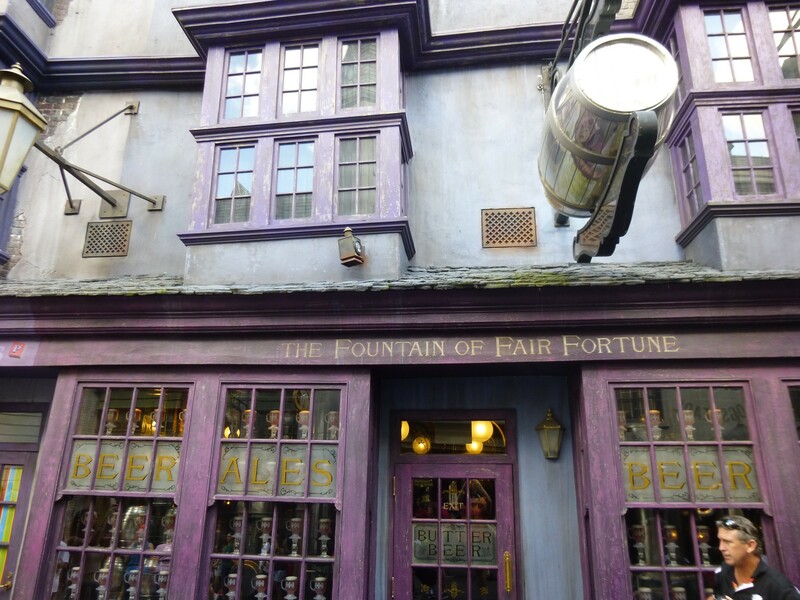 Named for one of the fables in The Tales of Beedle the Bard (a collection of children's stories that many young witches and wizards grew up reading), The Fountain of Fair Fortune serves a variety of beers and other beverages (both alcoholic and non-alcoholic). 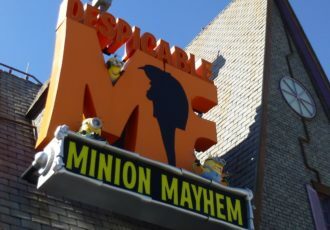 Non-alcoholic offerings include Butterbeer, Frozen Butterbeer, Pumpkin Juice, Gillywater (bottled water), and Pumpkin Fizz. 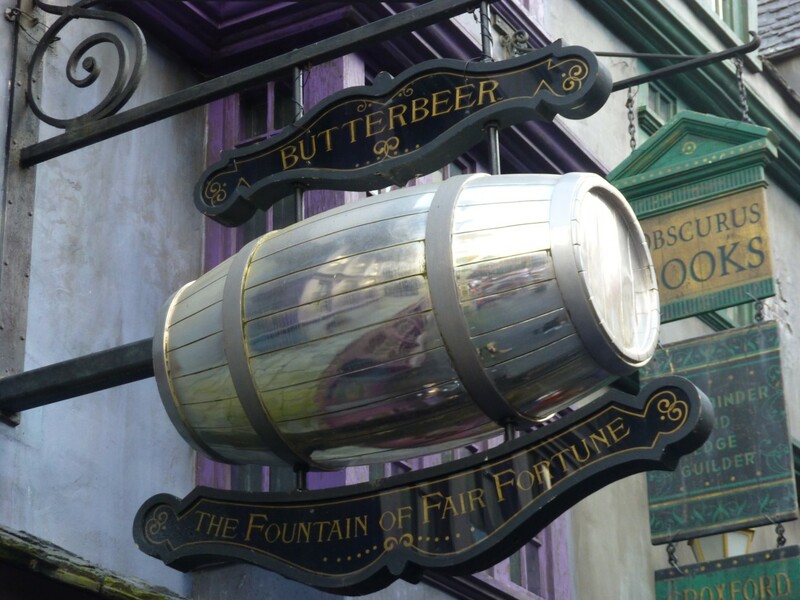 One of two locations within Diagon Alley where you can get a Butterbeer (without waiting in line at the Leaky Cauldron.) The other location is the Hopping Pot at the other side of the land. You can get your Butterbeer or Frozen Butterbeer served in a special plastic souvenir mug not available in Hogsmeade. Not only does it look great but you can get soda refills in your mug all day from any restaurants with fountain soda for only $1.29 each.